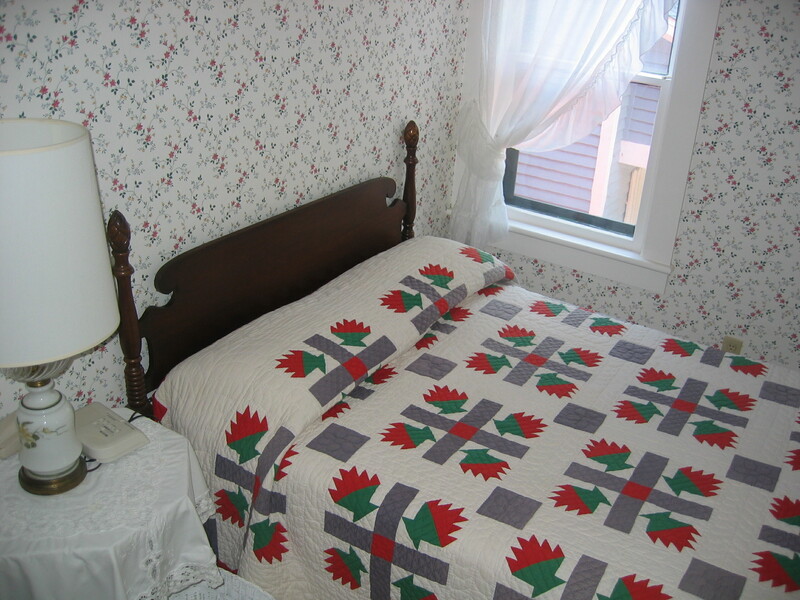 Chautauqua Season rentals are Saturday - Saturday. Welcome to 37½ Foster! 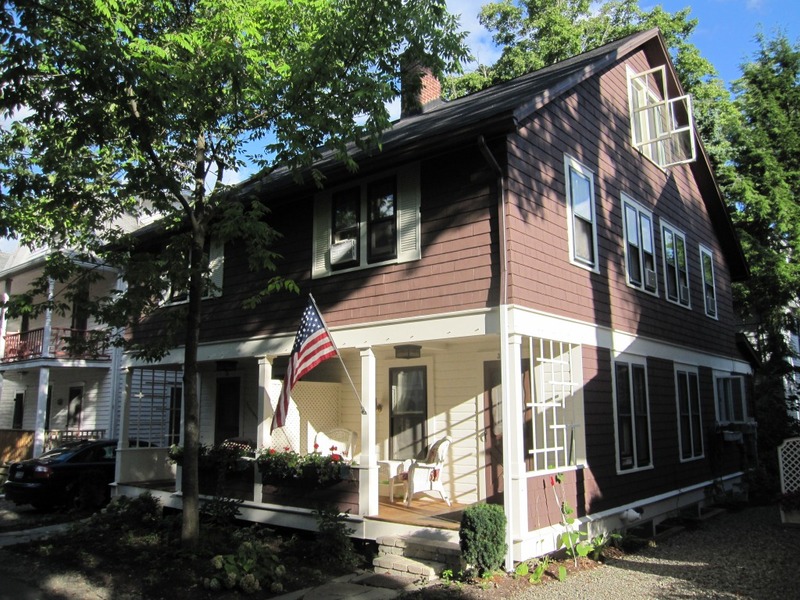 Our personal vacation home, a traditional "New York brownshingle" was built in 1895 and has been lovingly updated and cared for by our family for decades. 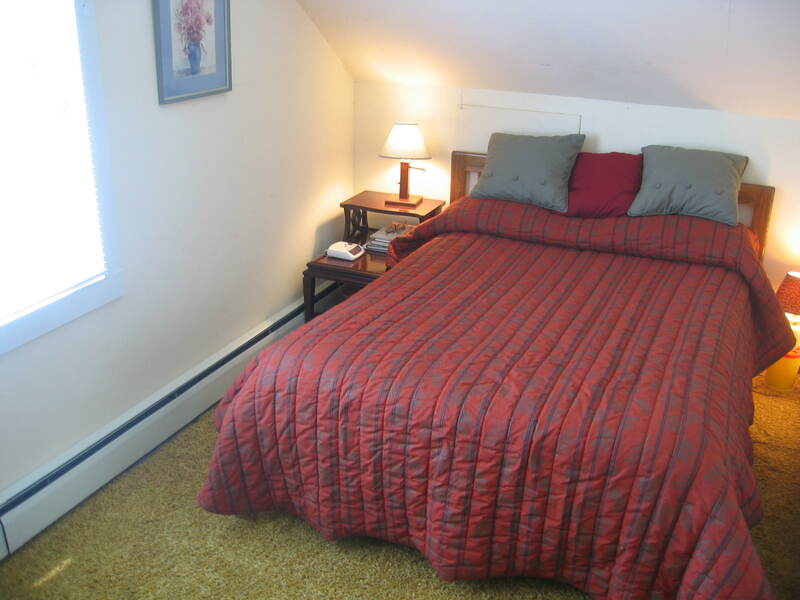 We hope you will love it as much as we do, and we try to provide everything you will need for a comfortable and memorable Chautauqua vacation. This is a great neighborhood for everyone from grandparents to kids, with neighbors who are friendly yet considerate of everyone's privacy. The Children's School bus stops a block away at Lincoln Park, and the trams stop just steps away at the corner. 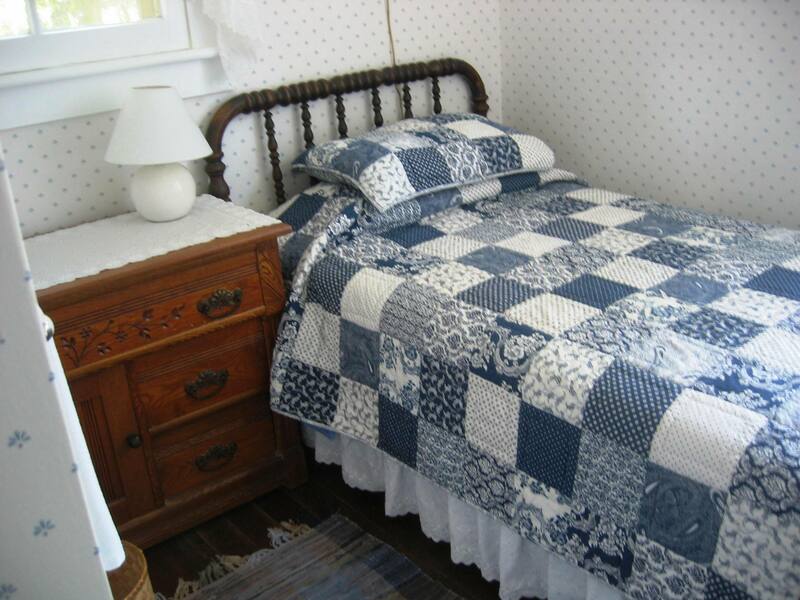 We are happy to share our cottage at 37½ Foster with you for a true Chautauqua experience! Parking & Yard: parking for 1 car. There is a small yard and a charcoal grill. Enjoy the raspberries in season! The House: Half of a double house, divided vertically. Three floors. with A/C and central heat. Shared washier and dryer are in laundry room in lower level. Non-refundable unless rented to another party. 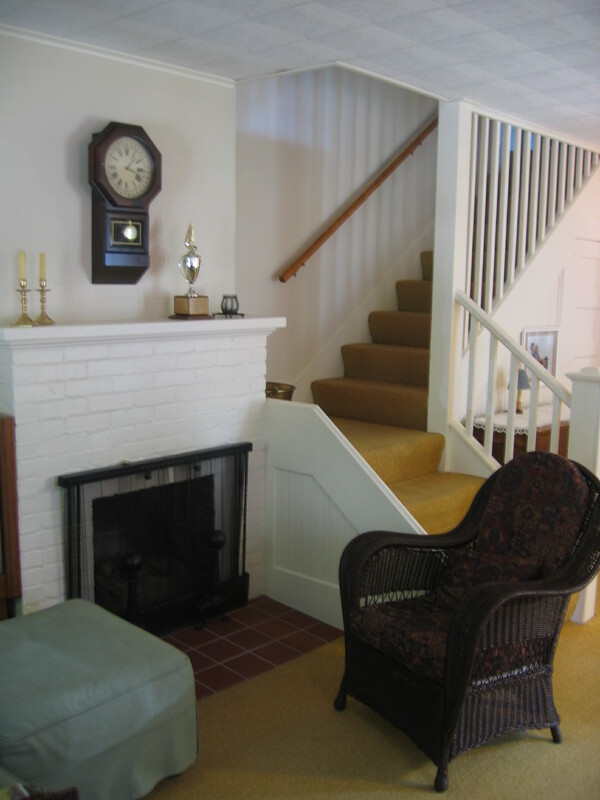 First Floor: Porch with 2 wicker chairs and table and; Living / Dining room with sofa, 2 chairs, gas-log fireplace, TV & VCR, radio/tape/CD player, dining table expandable to seat 8. Kitchen newly redone with Pergo floor, ample cabinets, full-size refrigerator, self-cleaning gas range, disposer, dishwasher, and microwave. 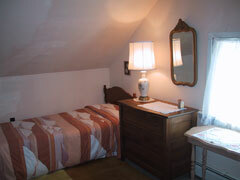 Second Floor: Bath with sink, shower, and toilet; 2 small single bedrooms that have no closet; small closet in hall; 1 small room with double bed, no closet; 1 double room with full-size (54") bed and closet. 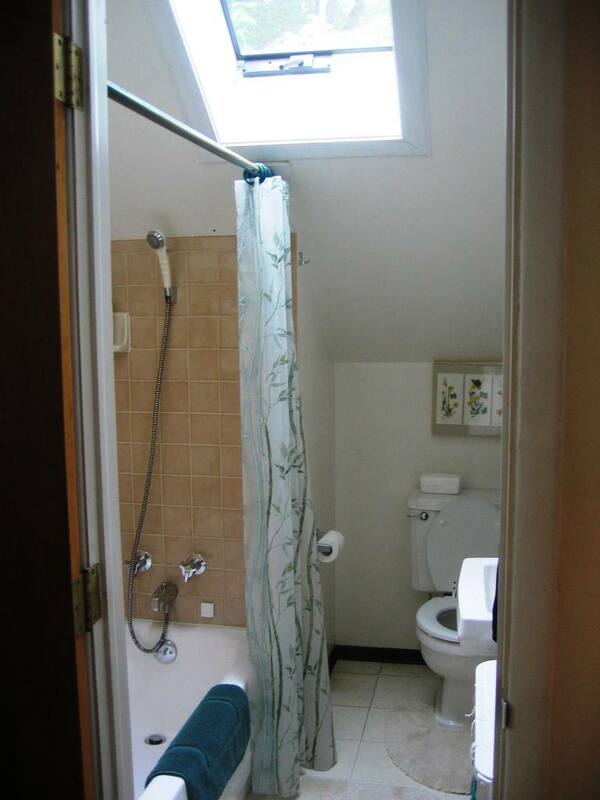 Third Floor: Bath with tub / shower combination, sink, toilet, open area with twin beds and a double bed, table & chairs, small wardrobe but no closets. 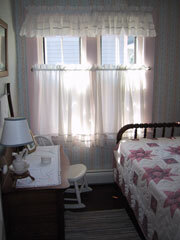 Decoration and Furnishings: The first and second floors and nicely decorated in an “Old Chautauqua” style, some antiques, pleasant wallpaper. The third floor is our next project; we're still working on it and recently added new windows. Cleaning: The house is carefully cleaned for each tenant by personally chosen helpers who have been with us for many years.These pros know what clean is. 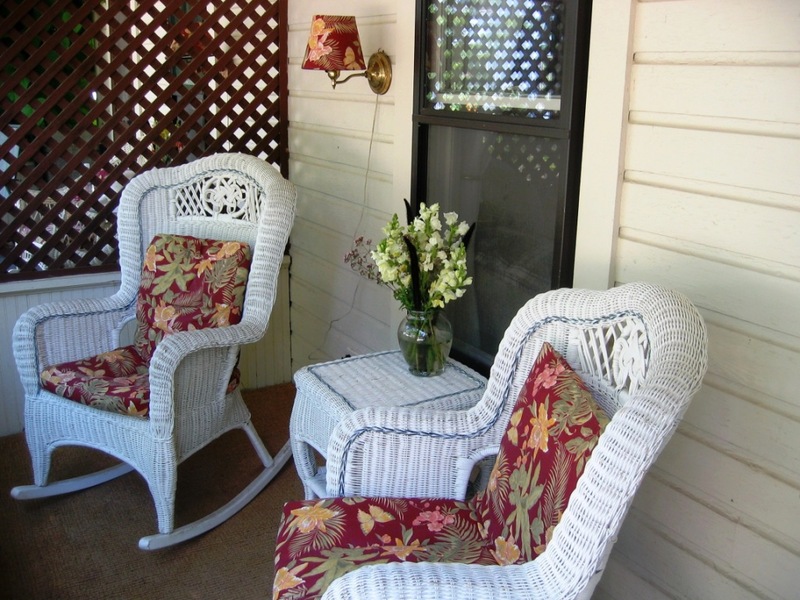 Laundry: The washer and dryer are located on a back porch and shared by guests from both sides of the double house. 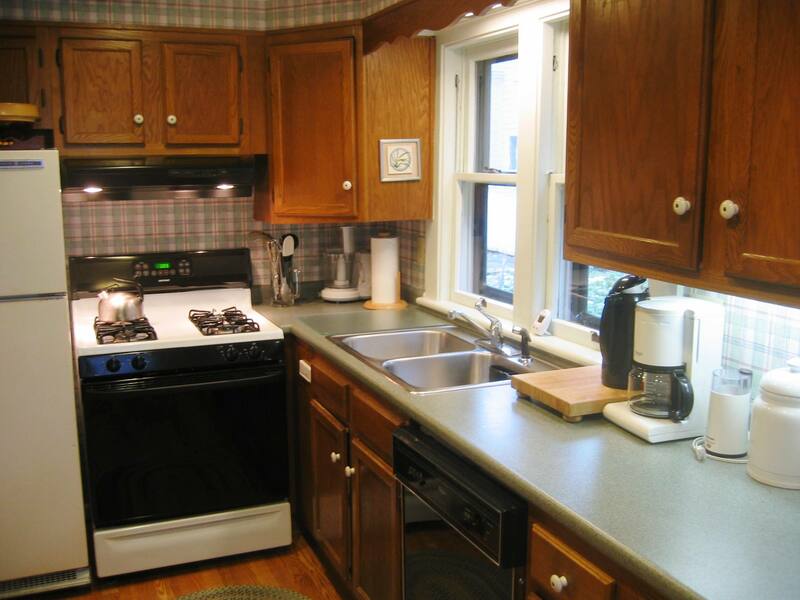 Supplies: The house is fully equipped with linens, towels, dishes, flatware, and cooking utensils. 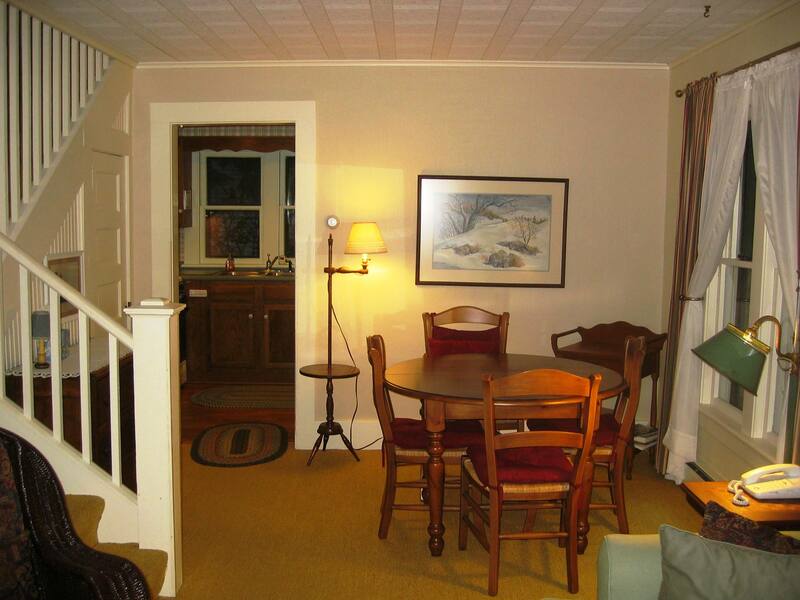 Guests don’t need to bring anything, just unpack and enjoy your Chautauqua vacation. No pets. No smoking. Because of allergies in our family and out of consideration for other guests, we do not allow pets or smoking on the property.